What is QHD Display for SmartPhones & Does it Make Sense? The year 2013 was all about 1080p Full HD displays, and most of the flagship smartphones from the well known smartphone manufacturers were launched with the Full HD displays. It was all good, and looking good too but does the competition stop any time? as soon as even the Tier-3 brands started coming up with the Full HD displays under the screen, it was all about taking the next step and stay ahead in the race. The year 2014 is shaping itself to become a year for QHD displays (2K or Quad HD displays) and there are a few smartphones already launched, including LG G3, Oppo Find 7, Samsung Galaxy S5 LTE-A and Vivo Xplay 3S. Before we get into the discussion whether the Quad HD display makes sense or not, let us see what different resolutions were seen in the displays earlier to this. Don’t get confused with the term 4K, which is a even higher resolution and that is seen in the high-end TVs, and a few smartphone cameras are coming with the capability to record 4K resolution videos. This has nothing to do with the smartphone displays for now. Is the QHD display really needed in a smartphone? that’s what something one would get in mind while comparing it with the displays of the larger screens, especially laptops. Although there is an obsession for most of the features in the smartphone, i.e. camera, OS version, screen size but the resolution hasn’t been really important for a majority of users, except for the ones who have seriously considered this for the graphics and video output. Still, even in those cases, a resolution of 1920 x 1080 pixels in a display of around 5-inch is enough. Who wants the 2K resolution already? 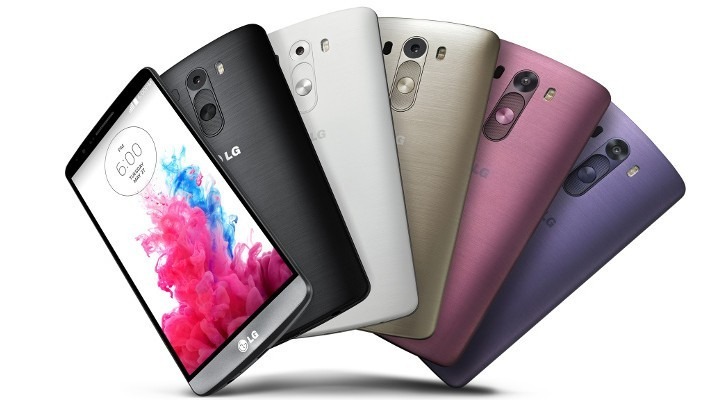 The LG G3 was one of the early devices from a top-tier brand to come with the QHD display. When the big players in the industry were asked for the reason, it was mixed reactions for the use of QHD displays in smartphones. Michelle Leyden Li, Qualcomm’s Senior Director of Marketing, said that it is “us”, the users who never seem to get satisfied and the consumers want more and more things on their devices, making it necessary for the inclusion of newer and better features. Our view on this – It is although true that consumers are the ones who get obsessed about the numbers, but display is something where it hasn’t been much of a need for huge upgrades. While most of the brands chose to use the 1080p display in the flagship devices, Motorola had its own plans and it used a 720p HD display in the Moto X. Did that look any bad? not for us! But it made some difference – in the pricing segment. If you want more, you pay more. But again, taking this ahead, the problem doesn’t end with the pricing. The battery is going to take a hit because of the displays, which drain the battery more. Although the QHD display might be good for those who actually care about it, there are quite a few drawbacks, listed as below. Pricing – A new technology, not much available in the market is what lets the company to set a high pricing for the device. Battery – The battery for sure is going to be drained if you are using high resolution display, and if the company is deciding to make the battery capacity higher, it would make the device thicker overall and it is out of the comfort zone. What do you think about the QHD displays (2K displays) in the smartphones? are they really necessary in the rapidly growing smartphone sector, or the companies should have looked more at the performance and the useful features?